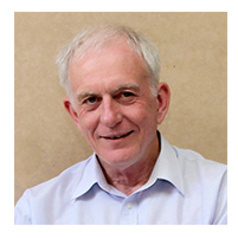 Robert Henry is Professor of Innovation in Agriculture, and Director of the Queensland Alliance for Agriculture and Food Innovation at The University of Queensland. Professor Robert Henry, is a graduate of the University of Queensland, B Sc (Hons), Macquarie University, M Sc (Hons) and La Trobe University (Ph D). In 2000 Professor Henry was awarded a higher doctorate (D Sc) by UQ for his work on analysis of variation in plants. Before being appointed QAAFI Director in May 2010, he was Director of the Centre for Plant Conservation Genetics at Southern Cross University, a centre which he established in 1996. Other previous positions held by Professor Henry include Research Director of the Grain Foods Cooperative Research Centre (CRC) (until 2010) and Research Program Leader in the Queensland Agricultural Biotechnology Centre (until 1996). Some of his earlier roles include: working with CSIRO on fruit and vegetable biochemistry; a Cereal Chemist with the Queensland Department of Primary Industries, including research into the quality of malt and barley for brewing; a Senior Principal Scientist with the Queensland Wheat Research Institute, where he played a major role in grain quality research, and a Post Doctoral fellow working on cell biology and genetics at the National Institute of Agrobiological Resources in Japan. Professor Henry’s speciality research area is the study of agricultural crops using molecular tools. He is particularly interested in Australian flora and plants of economic and social importance and has led the way in research into genome sequencing to capture novel genetic resources for the diversification of food crops to deliver improved food products.